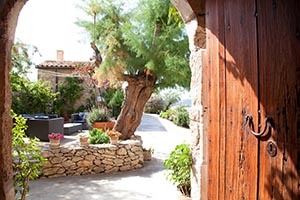 This 17th-century Majorcan house is located between Son Servera and Artá, on a stretch of land that is surrounded by mountains and almond groves. The estate's buildings were restored, with utmost respect for their original features and personality. 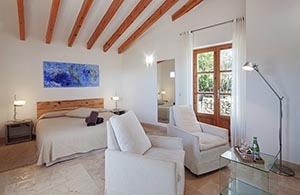 Nestled in the Llevant Natural Park, the estate is located less than 15 minutes by car away from such beaches as the Costa dels Pins, Cala Millor, Sa Coma, Cala Agulla, Es Rajolí, Cala Mesquida, Cala Torta and others. 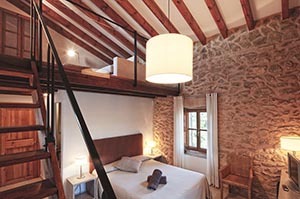 Sleep in magnificent rooms and rest in full contact with nature. 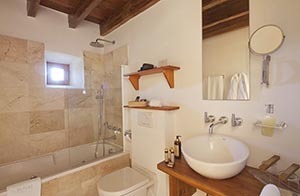 To do so, you can choose from among the four suites, three double rooms and one single room. 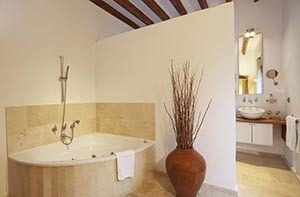 The distinguishing features of all of the rooms are their ample space, their light and above all, their decoration. The absolute uniformity of the flooring, ceilings and walls is complete with avant-garde furniture and decorative items featuring pure, geometric shapes, all in metal and wood. 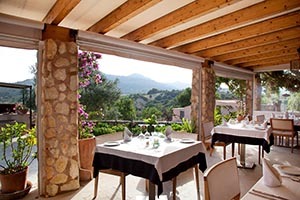 Yet another important reason to visit the Ses Cases de Fetget estate is its restaurant, featuring an up-to-date menu that is nevertheless rooted in traditional dishes: creative Mediterranean, Majorcan cuisine, made with natural and fresh market products. One of the secrets of this magical spot is its organic vegetable garden, where they grow the vegetables that inspire the cuisine and uphold the roots of the traditional recipes that are enhanced with a very avantgarde touch.